NED University of Engineering & Technology is one of the oldest universities in Pakistan. NED is a public university established in 1921. NED was established by British government to provide civil engineering working in building Sukkur Barrage. 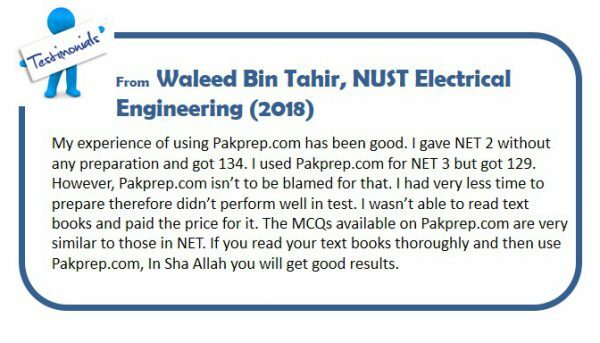 Since then NED establishment worked hard and earned a very respectable name in Pakistan engineering society. Now NED is ranked among top 10 engineering universities in Pakistan. NED provides a vast range of UG, Masters and PHD programs to its students in many fields. They also provide many scholarships opportunities to their brilliant and needy students. Every year thousands of students apply in this remarkable institute to pursue their higher educational carrier but not all of them are able to secure their admission. Pakprep.com is well equipped with quality MCQ’s which you need for any entry test. Pakprep.com have more than 15000 solved MCQ’s along with explanation, past papers, MOCK test and smart analytics. These all features of pakprep.com gives a competitive edge to our students over those who are visiting academies. Smart analytics will keep record of all your test history so that you can analyze your situation in a better way. 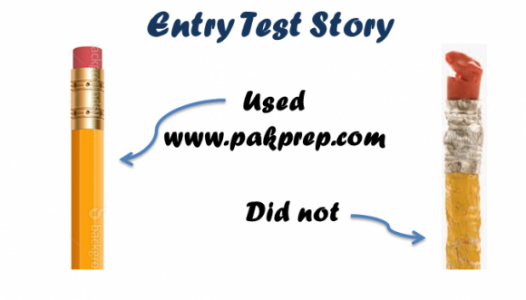 To start your preparation today with pakprep.com please CLICK HERE. This entry was posted in NED and tagged Applied Linguistics program NED, Applied Mathematics program NED, Applied Physics (BSAP) program NED, Architecture program NED, Automotive Design, Automotive Engineering, Automotive Manufacturing program NED, Best way to prepare for NED, Bio-Medical Engineering, Bio-Medical Engineering (Bio Stream), Bio-Medical Engineering (Medical Stream) program NED, Chemical Engineering, Civil Engineering along with Specialization in Construction program NED, Coal Power Engineering program NED, Coastal and Water Resources Engineering program NED, Computational Finance (BSCF) program NED, Computer & Information Systems Engineering program NED, Computer Architecture & Systems Design program NED, Computer Network & Performance Evaluation, Computer Science & Information Technology, Construction Management program NED, Control Systems, Design program NED, Development Studies program NED, Disaster Management & Sciences program NED, Electrical Engineering, Electrical Machines & Drives program NED, Electrical Power Systems program NED, Electronic Engineering program NED, Energy Management, Energy Systems program NED, Engineering program NED, Environmental Engineering program NED, Environmental Management program NED, Food Engineering program NED, Geo program NED, Industrial & Manufacturing Engineering, Industrial Chemistry (BSIC) program NED, Industrial Electronics, Industrial Management program NED, Information Security, Manufacturing Engineering program NED, Materials Engineering, Mechanical Engineering program NED, Mechatronics program NED, Metallurgical Engineering, Micro System Design program NED, NED Admission 2018, NED Admissions, NED Chemistry, NED Chemistry MCQ's, NED Chemistry MCQ's with answers, NED Chemistry MCQ's with solution, NED English, NED English MCQ's, NED English MCQ's with solution, NED Entry Test MCQs, NED karachi, NED Maths, NED Merit list, NED Past Papers, NED Physics, NED Physics MCQ's with answers, NED Physics MCQ's with solution, NED solved MCQ's, NED undergraduate programs, Petroleum Engineering program NED, Polymer & Petrochemical Engineering, Quality Management, Renewable Energy program NED, Software Engineering, Structural Earthquake Engineering program NED, Structural program NED, Technical program NED, Telecommunications Engineering, Telecommunications Systems program NED, Textile Engineering program NED, Textile Management, Transportation Engineering program NED, Transportation Infrastructure Management program NED, Urban & Regional Planning program NED, Urban Engineering program NED, Water Resource Management program NED on December 3, 2018 by Pakprep.com Admin.